So . . . 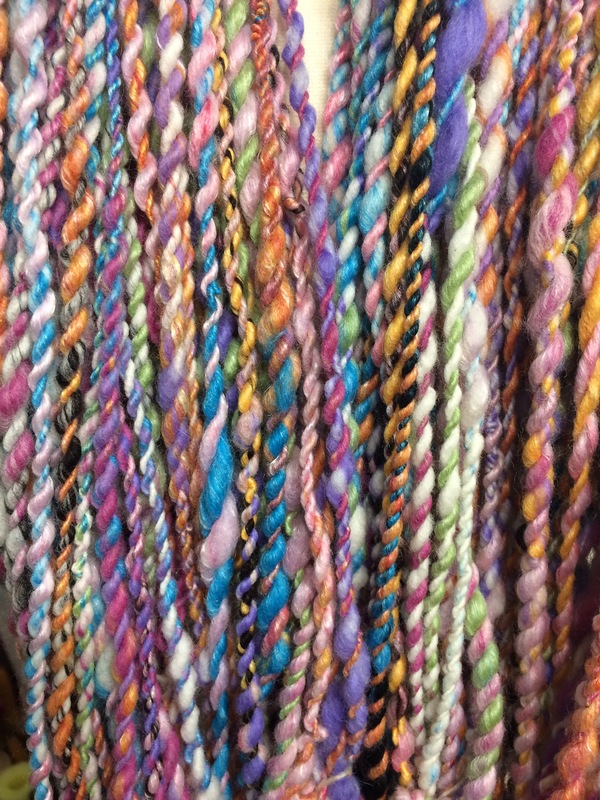 I made some more colorful yarn. 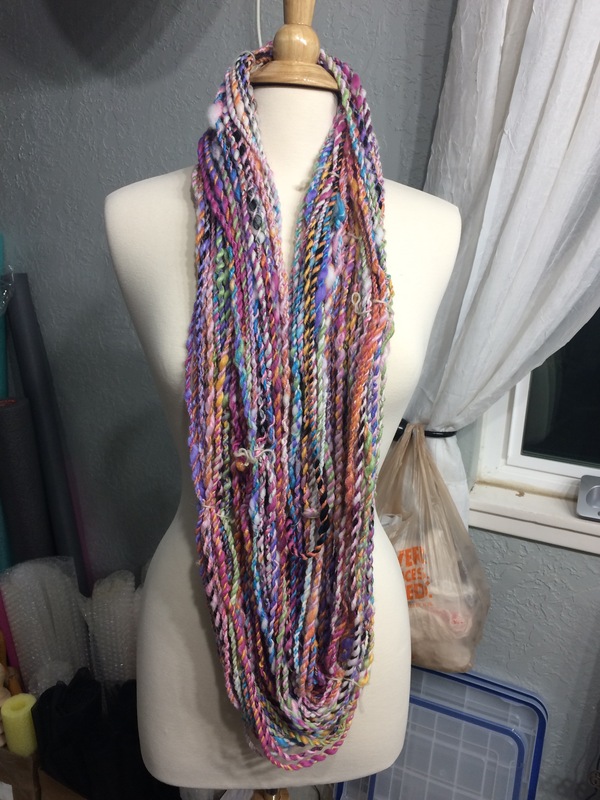 This time I wanted the yarn to be super soft so it is made of fine merino wool, silk, alpaca, rose fiber, and bamboo. 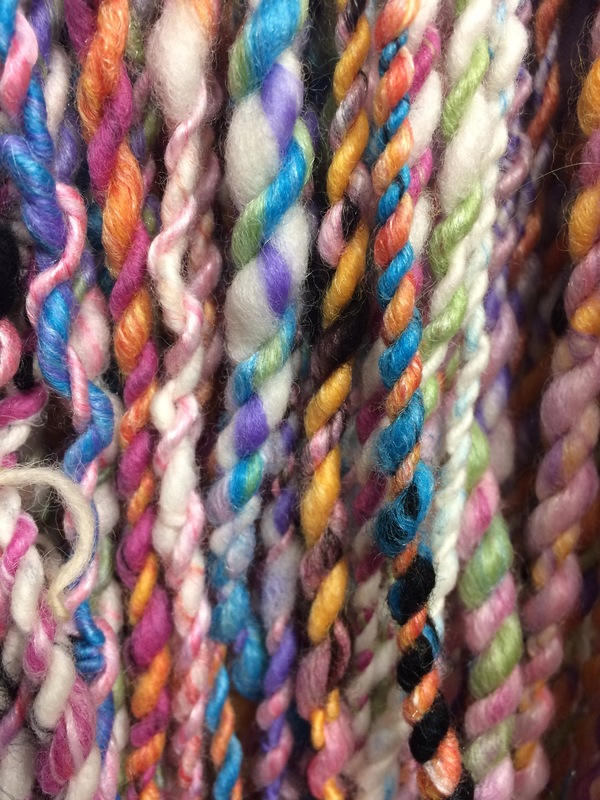 Sometimes Alpaca and bamboo and Rose fiber are not super soft but this particular fiber is SUPER soft. Though I haven’t had time to make anything with it yet, I’ve enjoyed envisioning what I’m going to make. I am not a master spinner by any means but I would be willing to give lessons in what I do know. If anyone is interested please contact me.